I’m not talking about spending wildly, in fact, quite the opposite. I am one of those weird people that gets enjoyment out of getting a good deal. I try my best to get a “good deal” on my savings and spending every year. It has almost become a game to see how much I can make on our savings, so I thought I would share some methods that we have in the past year. How much do you have in savings accounts? Do you have three to six months of income in a savings account? If not, you should, but that’s a topic for another day! If you do have that much in savings, what kind of interest are you making on your savings? Most local banks pay anywhere from .02 -.2% on money market accounts. If you have $50,000 in savings, that adds up to a whole $100 a year if you are on the high end. You can do better! A couple years back, I opened up a savings account that is currently paying 1.2% interest. I’m not going to retire on 1.2%, but I am making something on an asset that needs to remain completely liquid in the event of an emergency. Using the example of $50,000, earnings are $600 versus $100. A great place to find high yielding accounts is bankrate.com. I would recommend looking for an account that fits your needs. For example, I hate the accounts that force you to have 12 transactions each month, jump over a river and through the woods to get the stated interest. The account I opened doesn’t require a thing, yet I can withdraw money up to 12 times a month. Chase has been sending me information about opening up a checking and savings account, and if I do, they will give me $500 for doing so. There are a couple of details, but they aren’t too bad. As long as I keep the two accounts there for three months with the required minimum balance, I get $500. As Kramer would say, Giddyup! Discover sent me an email a couple of months ago that I’m considering. If I open a savings account with $15,000, they will give me $150, or $200 if the initial deposit is $20,000. PLUS the account pays 1.15% interest. I haven’t taken any action on the account yet, but for 20 minutes or so of my time, it is probably worth it. Dave Ramsey wouldn’t be very happy to know that I use credit cards. I don’t have a lot of cards, but I have a few that I’ve accumulated over the past five years. There have been a couple of times that I got a new card because I received $500 back after making $4500 in purchases in the first three months. If I know that I have a big purchase coming up, and a credit card company wants to help by giving me $500, I’m in! I just booked a flight on Southwest and couldn’t help but sign up for their credit card to get $250 off my flight. I have a hard time passing up a discount on a purchase I am already making. 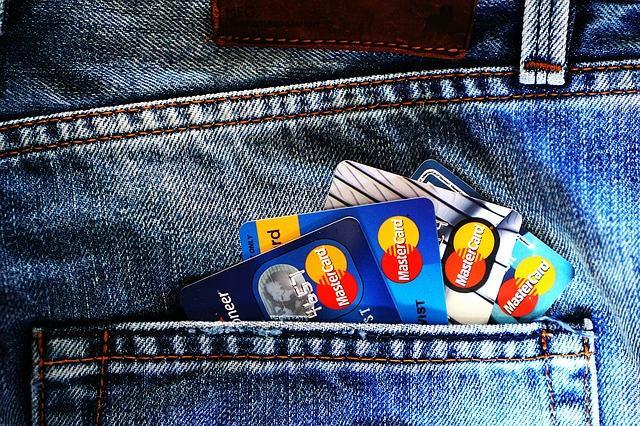 Will multiple credit cards hurt your credit? My understanding is that credit scoring models are more concerned with how you use your credit versus how many accounts you have. As long as you pay your balances every month, multiple cards shouldn’t be an issue. A great website to use for credit cards is thepointsguy.com. He gives you his list of top cards for rewards points for everyday users, as well as what cards to get for specific purposes. One caveat with credit cards is that they need to be paid off every month. If you have a spending problem and don’t pay them off every month you can cost yourself much more in interest than you will collect in bonuses. It may take you a little time, but making a return on dollars that you are already spending, and already have in savings can help you add extra income each year. You may even think it’s fun to see how much “free money” you can make in a year. Getting the most out of your savings is one of the many things that we help our financial planning clients with. If you would like to discuss your planning needs, you can contact Brad here, or schedule a call here.